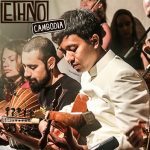 Cambodian Living Arts is in the USA this fall! What does it mean to conceal your passion and your livelihood, or to be forced to play propaganda music to survive? What does it mean to rewrite memories you thought you had? And what does it mean to be a daughter of one of the few surviving Master Artists? Witness the music that defined them, hear their stories, learn about the people who shaped them, and celebrate the power of the arts in building peace. 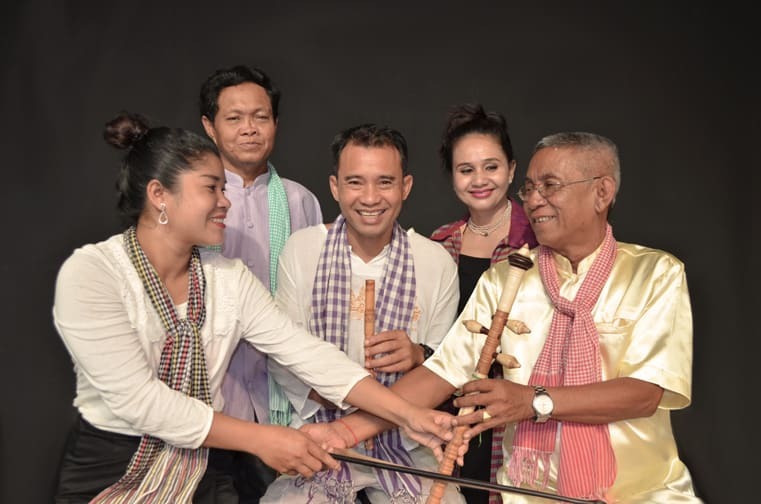 Featuring renowned flute player, human rights activist, and founder of Cambodian Living Arts, Arn Chorn-Pond, alongside Seyma THORN, Master Mann MEN, his daughter Mao MEN, and Savang THOCH. In addition, we will be visiting different schools, pagodas, community spaces, and connecting and sharing music with Cambodians living in the USA. If you’re in the US this fall, please join us! Be one of the generous sponsors bringing The KMMB to the Cambodian community and your community! To become a sponsor please contact development@cambodianlivingarts.org. Can’t make it to one of our events? You can still support the tour and be part of the community investing in our mission and vision! 100% of all contributions go towards fulfilling our arts4peace tour dream and inspiring and sharing the work of CLA with Cambodian and international communities. Please click the button below to donate via our website. We truly appreciate gifts of any size. To give through other means, please contact development@cambodianlivingarts.org.